Given the runaway artistic and commercial success of his 2014 debut, “Ex Machina,” it’s hard not to see Alex Garland’s “Annihilation” as a case of sophomore slump. “Ex Machina” was an almost flawless blend of performance, tension and social inquiry (Garland’s subject was artificial intelligence) that transcended the usual sci-fi parameters. By comparison “Annihilation,” based on Jeff VanderMeer’s bestseller, feels less original and more conventional. Plus, it has the built-in issue of being based on the first book of a trilogy — which no doubt is why at the end of nearly two hours the yarn seems unfinished. And yet “Annihilation” has real strengths, including a mostly-woman cast dealing with a pressure cooker situation, a couple of fine action sequences and enough creeping tension to generate mucho spinal tingles. Biologist Lena (Natalie Portman) is in mourning. A year earlier her soldier husband Kane left for one of his black ops missions and hasn’t been heard from since. The authorities aren’t cooperative. And then, miraculously, Kane appears in their home. He’s an emotional blank, with no memories of where he’s been. Before long the couple are snatched by commandos in black and taken to a top secret military base outside “the shimmer,” an area along the Carolina coast subject to bizarre anomalies. As psychologist Dr. Ventress (Jennifer Jason Leigh) explains, a few years earlier a meteor (or something) struck the area creating a “bubble” that is slowly expanding. Numerous military teams, drones, even trained animals have been sent beyond the shimmer, but so far only Kane has returned. And now he’s in a coma and on life support. Gotta give Natalie Portman props for climbing out on a limb. In “Jackie” the Oscar winning actress (for “Black Swan”) takes on the iconic role of Jackie Kennedy. It’s one of those damned-if-you-do, damned-if-you-don’t deals: Try too hard to hit all the familiar notes and you get an impersonation, not a performance. But stray too far from the public image and audiences no longer relate. Well, Portman has the Jackie audio-visuals down — the hair, the pink pillbox hat, those breathy/halting vocal patterns. And if she doesn’t give us a definitive study of who this woman was (do any of us really know the answer to that one?) she provides a compelling center for a often gripping film. The screenplay by Noah Oppenheim (who earned his political bona fides as a producer for “Today” and “Hardball with Chris Matthews”) unfolds in the week after J.F.K.’s assassination as the new widow sits down to a series of interviews with a journalist (unnamed but clearly based on White House insider Theodore H. White) played by Billy Crudup. Around that core setting this film from Chilean director Pablo Larrain offers a series of impressionistic moments from one of the most traumatic weeks in American history. For those too young to have experienced those dark days of November, 1963, the film captures the anguish, fear and outrage unleashed by the murder of a President. There are also flashbacks to seminal moments in Jackie’s past, particularly the famous live TV tour of the White House. Only this time we’re allowed to eavesdrop on what went on during the commercial breaks…according to “Jackie,” the First Lady was terrified of the whole enterprise, with her fears coming through in a brittle, vaguely anesthetized vocal delivery. The film’s depiction of the assassination is hair-raising. We’ve been there dozens of times in other movies, but never from the point of view of Jackie, cradling her husband’s smashed head in her lap as chaos erupts around her. And the machinations that followed the killing as the nation prepared to lay their leader to rest tell a story many of us have never heard. Fearing a broader conspiracy might still be in play, the Secret Service nixed the idea of a slow funeral procession to Arlington National Cemetery. But that’s precisely what Jackie demanded and got — a tribute to her dead husband that made potential targets of the new President, her own family and numerous world leaders. That steely will is new to the public perception of Jackie, and suggests a stronger, more assertive personality than we expect. There are things in “Jackie” that don’t work — particularly Peter Sarsgaard’s portrayal of Robert Kennedy. He doesn’t look or sound like the man he’s portraying, and those discrepancies take us out of the picture. 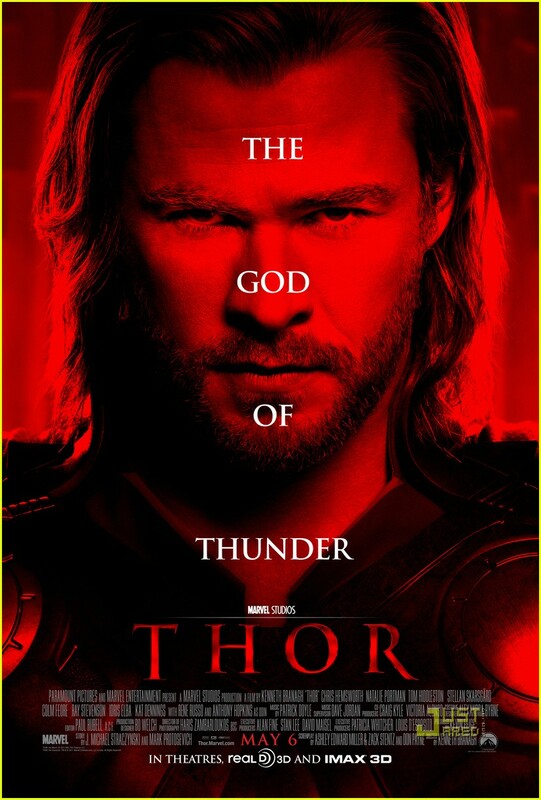 There’s absolutely no reason why any of us must see “Thor,” the latest Marvel Comics big-screen adaptation. The good news is that if you do see it, there’s no harm done. This is a surprisingly effective (I’m tempted to call it smart) addition to the superhero canon, a moderate success for a most unlikely filmmaker: Kenneth Branagh.